Now that John Nuttal and Amanda Korody were found "guilty" in the Surrey pressure cooker fraud, the defense has rightfully played the entrapment card. The court will reconvene June 29th to hear the entrapment argument. There has never been a more clear case of entrapment in the history of the earth. 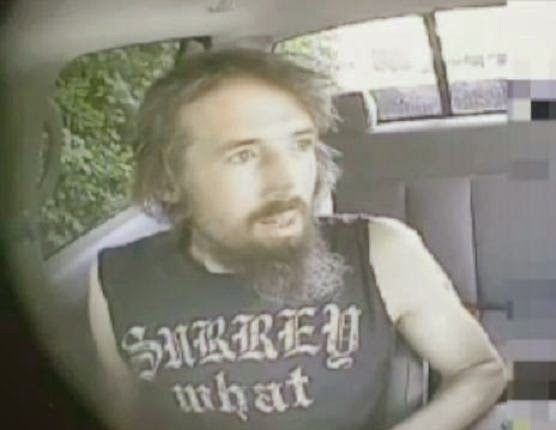 The RCMP handler told them what to do, how to do it, drove them around picking up bogus bomb parts and drove them to a hotel so they could videotape two Surrey drug addicts try and assemble a bomb they were incapable of making. The whole time the handler had to repeatedly remind the mark to stop being distracted from the task and get back to work. They even had to drive them across the ferry and to the designated spot because the couple didn't have a car or enough money to pay for the ferry trip over to Vancouver Island. The Vancouver Province finally printed a logical article on the case that wasn't written by the infamous flaming idiot and Kim Bolan wannabe, Keith Fraser. The article which was also published in the Huffington Post as well as the CBC states that human rights groups are concerned about how the RCMP targeted the most vulnerable to entrap them into becoming "terrorists". An example he uses is “James Cromitie, a low-level ex-drug dealer who converted to Islam. A well-paid FBI informant befriended the Walmart worker and promised him $250,000 and a new BMW car to fire Stinger surface-to-air missiles at U.S. military planes and plant bombs at Jewish targets in New York.” This goes well beyond entrapment. I bet ya he didn’t make the Stinger surface-to-air missiles himself. Someone provided him with it which, as Bill Tieleman observes, facilitated the attack. If you bribe a drug addict to commit a crime you haven't saved the world from a terrorist, you just created one. The whole idea of setting a bomb off at a public fireworks display is heinous. So is entrapping two drug addicts into even considering such an evil act when they did not have the means nor the motive to do so just to fulfill a terrorist quota to rationalize giving up our civil liberty. This was entrapment. If the court does not recognize that we as Canadians are all diminished. Instead of paying drug addicts to perform terrorist acts we need to charge CSIS with murder for providing the explosives in the Air India attack and for theft for "losing" a billion tax dollars from their budget every year for these absurd off the book operations. What about the article catching CSIS giving aid to ISIS? Why haven't they been charged with that and why isn't that story in the press? Under cover RCMP officers targeted two Surrey drug addicts in an attempt to bribe and coerce them into performing a terrorist act to meet their terrorist quota. They befriended the couple, gave them food and other "gifts". They told them they had to come up with some kind of plan but were unable to do so. The undercover officer kept pressuring them telling them we've spent a lot of money on you, Mr Big isn't going to be very happy about this. You need to come up with a plan. The couple were genuinely afraid for their life thinking some huge terrorist with access to brief cases full of money would kill them if they didn't do exactly as they were told. That is why John's elderly grandmother moved out of the basement suite right before they were arrested. They all though their life was at risk and his grandmother couldn't handle the stress any more. Under duress they threw out two suggestions. They said well we could hit a military target or set off a bomb at a public event like a fireworks display. Mr Big wants you to do the Firework one. They told them which one to do. He admitted that the idea of killing innocent people made him feel sick to his stomach but was consistently pressured into continuing with the plot. Only they had to be driven around and coached every step of the way so they wouldn't get distracted. It's hard to focus on task when you're stoned on drugs. On camera they were told you can back out at any time while off camera they were told, but Mr Big won't be happy. First of all, how do you make a pressure cooker bomb? I don't know and a Surrey drug addict isn't going to know. In the court they gave the secret: black powder. Well that finally makes sense. They filled the thing with gun powder. Only where do they get it from and how do they set it off? How do they seal the lid so it will explode? Duck tape? That's what they had. I kid you not. If they filled it with gun powder and sealed the lid with duck tape that thing isn't going to be any bigger than a small pipe bomb. There was a gang banger caught trying to make pipe bombs in the Interior. He was using gun powder from shotgun shells. That makes sense. Were John and Amanda emptying out shot gun shells? Nope. When I was a kid chemistry kits were popular. We used to make our own gunpowder because back then those supplies were readily available: salt peter, sulfur and wood charcoal. Now not so much. Did John and Amanda make their own gun powder? Nope. Someone had to have given it to them which once again confirms they did not have the means of committing their crime supporting the entrapment verdict. The next problem is how are you going to set it off? With a fuse? Perhaps but they didn't have one. They had a toy clock but what the hell were they going to do with that? There is no way anything John built with the supplies he was given would have ever exploded. John was videotaped making crazy statements while stoned. "Ya know if we are going to pull this off I'm going no need to pack heat. Yeah I'm gonna need an AK for that." Sure thing buddy we'll get right on it. "And ya know it would sure be easier if we had some C-4 to make this thing really explode." Well guess what, they actually gave a Surrey drug addict C-4. The RCMP should be charged right there with reckless endangerment. There is not a snowball's chance in hell two Surrey drug addicts are going to be able to get their hands on C-4 unless the police give it to them. There is no way I, a couple of Surrey drug addicts or any other average citizen is going to have any idea how to detonate the C-4 and actually get possession of the detonators. Like I said there has not ever been a more clear case of entrapment in the history of the earth. this couple certainly don't look like a couple of "terrorist". They look like people in need of assistance finding their shoes in the morning. Watched some of the videos on the news and could not conclude these people would have engaged in the activities they were accused of were it not for the RCMP handlers. The couple at times reminded me of small children playing a game. it is to be hoped it is found they were entrapped. if they are not, we, our democracy coupled with Bill c-51 is in grave danger. Indeed. In fact that's exactly what one of the RCMP agents said at the time. They said we have to call this off. These two couldn't plan a bag lunch. It is sad they ignored his advice and proceeded unilaterally. The RCMP will stop doing stupid stuff like this when the people of Canada stop accepting it. Indeed. I guess the first obstacle is believing it. You can fool some of the people some of the time but you can't fool all of the people all of the time. Sadly the parliament hill shooting was very real. We just need to figure out what on earth the motive was. Look into the wiebo ludwig case. Rcmp blew up a wellhead to frame him. A gas well head! I wanted this to get out. So many have no idea. Taken from Wikipedia. In 1998 the RCMP charged Ludwig for an attack on a Suncor well that occurred days after one of Ludwig's grandchildren was delivered stillborn. At a January 1999 bail hearing, the lawyer for Ludwig and another defendant revealed that RCMP officers had bombed an oil installation as part of a dirty tricks campaign during their investigation of acts against oil industry installations. The information was confirmed by crown prosecutors.. I cant support his actions. However the chilling thing is. The police admitted in court to blowing up a gas well. If they blew one up. Who is to say they didnt blow em all up.